Circling Through This Life: My life is so much richer because of the Homeschool Review Crew! My life is so much richer because of the Homeschool Review Crew! Once upon a time I was part of two "sister" email groups for home schooling. One of my friends from the group discovered this brand new "thing". 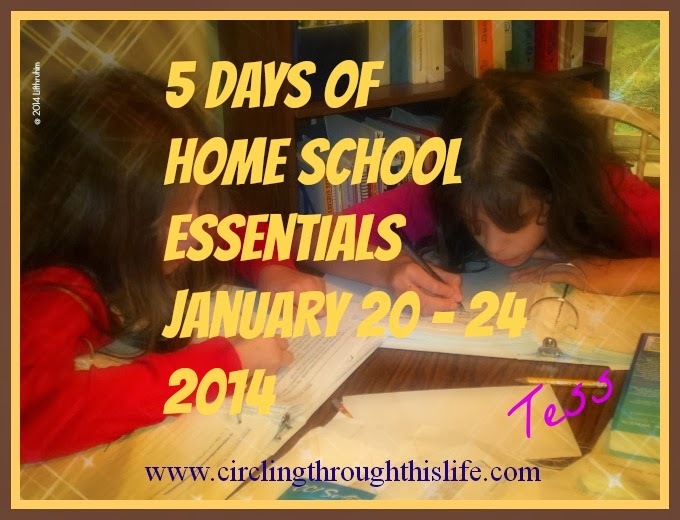 It was a group of bloggers who used homeschool curriculum and wrote reviews. That friend convinced another friend to join. The 2nd friend talked to me all the time about the Crew. She'd tell me about all these great products she got to try. Not just home school products either but products for her! I let her talk me into joining the crew. Best thing I ever did! So in June 2010 I became a crew member. I loved being part of the crew so much that I reapplied every single year since then. Until fall of 2015 when I stepped up to be a Crew Leader! Why do I love the crew so much? I would not have been able to give my children the depth and breadth of an education without the crew. Computer Programing. Logic. Art. Music. Even Physical Fitness and Health. How about an Animation Kit? an Online Filmmakers Course? Greek. Latin. French. Spanish. Russian. Japanese. We've had fun little unit study courses and full year writing programs, literature programs, and math! It is so much more than just the free products that I get to use in my home school. I've made friends. The Crew becomes an extended family. A place I can run to when I have a question, or need support. The private forum access is like gathering around and chatting. We laugh together. We cry together. We pray for one another. In addition to support for home schooling and home making, I've received encouragement about blogging. I've learned about my style and I've learned about social media. Over time, being part of the crew has given me the ability to give back to the homeschooling community by being able to answer questions about curriculum or make specific recommendations for friends. Because of the Homeschool Review Crew my life is richer. My daughters have experienced a fuller education. I've made friends. I've got a great support system and I get to learn about all kinds of different home school products! We are looking to expand the The Old Schoolhouse® Magazine Homeschool Review Crew and we are now taking applications for the 2017 Crew Year. We have some information available on the Crew Blog. Click on the banner to fill out the application! I love hearing how you got started. I'm glad you are a Crew Leader, you do an amazing job! Interesting to find out how everyone got started with the Crew, and I agree about the friendships and support on the Crew forum. So glad that I've been able to get to know you through the Crew!